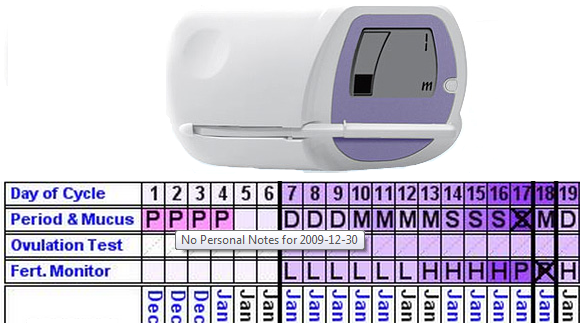 when you're ready OR just track your fertility to understand your cycles! our software will predict when you're most fertile. with our patent-pending prediction algorithm. Record symptoms by sending a text message from any cell phone. Get your questions answered and make friends. Share your charts with registered instructors to get their feedback. Track more than 100 different events and record daily personal notes. Copyright © 2000-2011 Clocking Edge, LLC. All Rights Reserved. Welcome to the best fertility software that allows you to chart your fertility for FREE using proven fertility awareness and natural family planning (NFP) techniques! 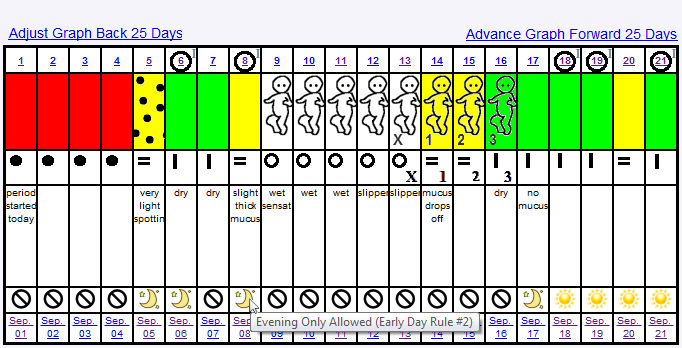 My Fertility Charts helps you record fertility symptoms and analyze them to predict ovulation. This can help you achieve pregnancy or just track your cycles. 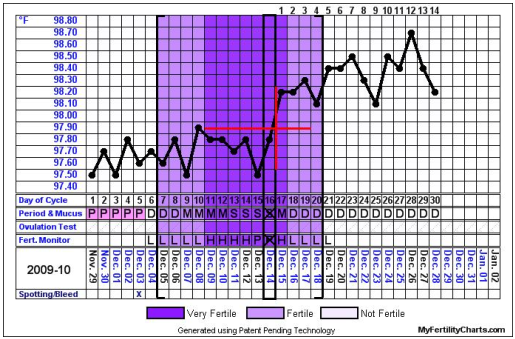 It is based upon the Hormonal Forecaster award winning fertility software, and uses third generation algorithms and patent pending techniques to predict ovulation and depict fertility. Support for basal body temperatures, cervical mucus, cervix observations, ovulation test results, saliva ferning patterns, gap method temperatures, and even basic ovulation calendar or rhythm method estimates are provided. Reminders, cycle statistics, gender swaying (gender prediction), a fertility chart library, and chart sharing are among the numerous fertility software features. Whether you are new to fertility charting or already experienced with fertility awareness techniques, this site can help you understand your fertility. New users may find Fertility Instructor.com helpful to offer an overview of the different techniques. This site features multiple free software options to allow you to chart your fertility for completely free. A basic or default subscription supports indefinite data recording, viewing, charting, message boards, sharing, and more. Premium subscriptions can even be obtained at no-cost to you through several rewards and promotional programs! This offers access to even more features. The best way to find out more about this site is to experience it first hand. You can sign up now at no cost and with no obligation. If you are not quite ready, these links will help you find out more about this powerful website before signing up.